DANOBATGROUP opened its sales office in China in 1991, after several years present on the Chinese market with projects through agents. At that time, the delegation was formed by three people: a salesperson, a technician and a secretary. Currently, the local structure has grown to 30 employees, involved mostly in sales and after-sales activities. There are close to 600 machines installed at Chinese clients and yearly orders exceed 30M euros. This places the Chinese market in the top-3 for the DANOBATGROUP, together with Germany and USA. 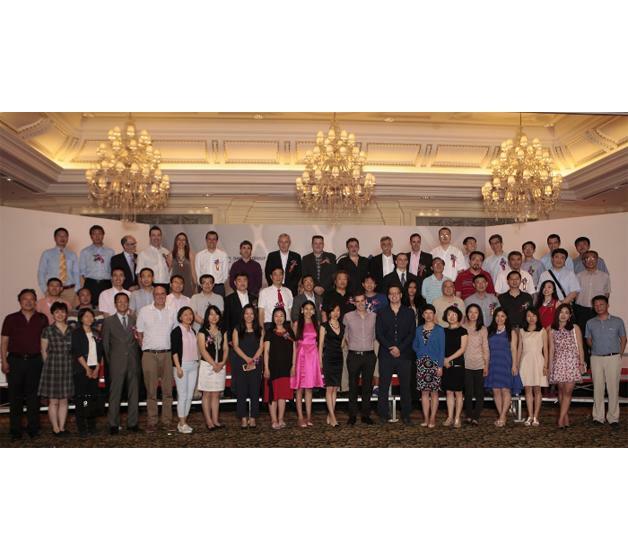 Contrary to the norm in China, DANOBATGROUP has managed to retain all its Chinese workers in the team. The majority of the present staff has been working between 8 and 16 years in the company; this means an enormous accumulated know-how, a clear benefit for Chinese clients. Furthermore, this local experience is without a doubt one of the key factors that have enabled the two brands of the Group - DANOBAT and SORALUCE - to become a benchmark on the Chinese market. In these 25 years, DANOBATGROUP has played a prominent role that has marked the history of the company in the Asian country and that in some cases, has been the springboard for penetration in China of other Spanish companies in the machine tool sector. In this context, the leadership of DANOBATGROUP was decisive in the creation for the Hispanic-Chinese Machine Tool Institute in Tianjin, 15 years ago, which currently is a starting point for many Spanish companies in this sector. More recently, DANOBATGROUP set up its first local production Joint-Venture in the country- Beijing Danobat CNR Railway Machinery Equipment Co. Ltd. - for the manufacture of equipment for maintenance of Chinese trains. During these 25 year in China, DANOBATGROUP has been awarded several prizes such as "Spanish Company in China 2014" awarded by the prestigious magazine Global Asia, a prize in 2013 given by the Spanish Chamber of Commerce in China for "Company of the year". Also notable are the prizes received in 2015 by SORALUCE, for its "innovative capacity in product development" and, in 2016, by DANOBAT for its "equipment for automation of the manufacture of wind turbine blades". The 25th anniversary celebration coincided with the participation of the DANOBATGROUP at the CIMES fair, also in Beijing.